Please note that the on-line booking made in your name 45 minutes before you posted your comment has been cancelled and refunded. Our records do not reflect any telephone calls coming in from the telephone reflected on your reservation. 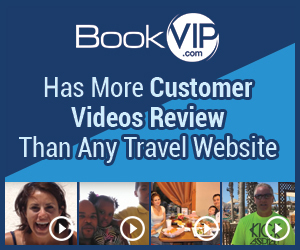 We work very hard to ensure that each and every customer is aware of how valuable they are to BookVIP. The reason why we have over 3.9 Million Facebook Likes, more customer video reviews and have sent over 100,000 people on vacation this year alone,is because we are the worldwide leader in promotional packages - that's our specialty. If you meet the resort's requirements and agree to attend the resort preview, you will receive the promotional rate. Have attempted to contact several times to cancel a purchase made in error by my teenager who got ahold of my card info. They refuse to respond. Review #1444463 is a subjective opinion of StarkChinchilla526.